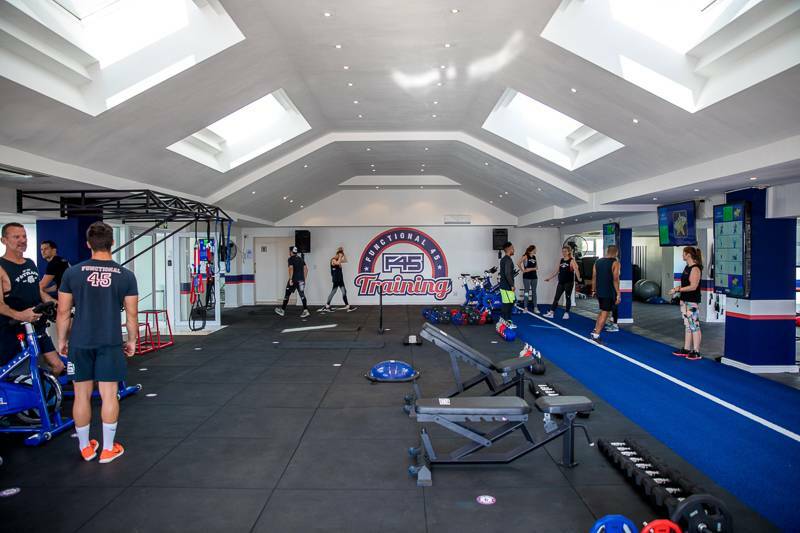 F45 Training Camps Bay is OPEN and the CHALLENGE IS ON!! 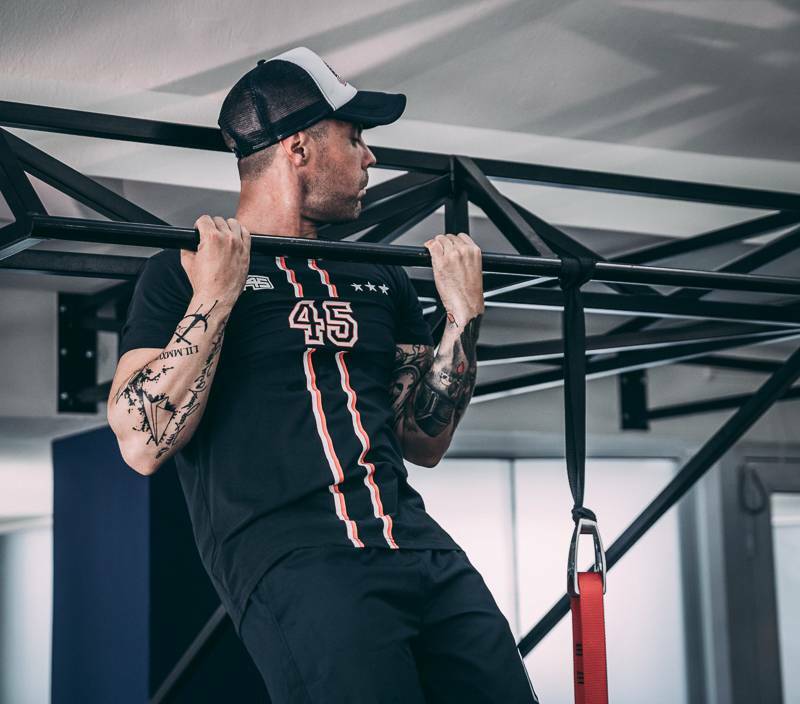 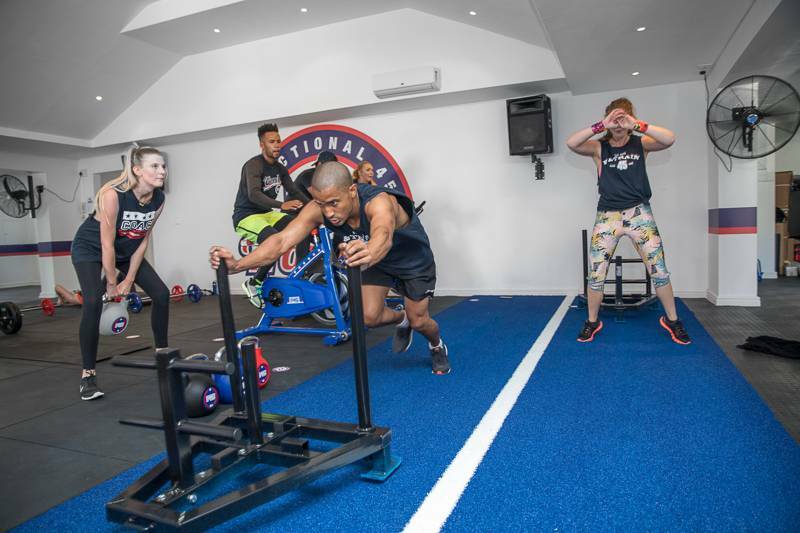 F45 Training Camps Bay has opened it’s doors to the public and if you’re not quite sure what this global gym is all about, this post contains EVERYTHING you need to know. 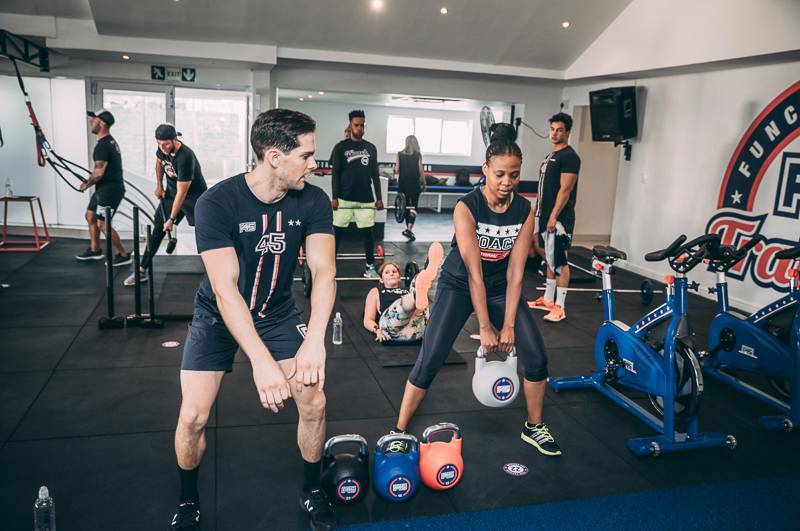 So, if you live around Camps Bay, you’ll know that one thing this amazing neighbourhood has been missing for the longest time, is a proper gym! 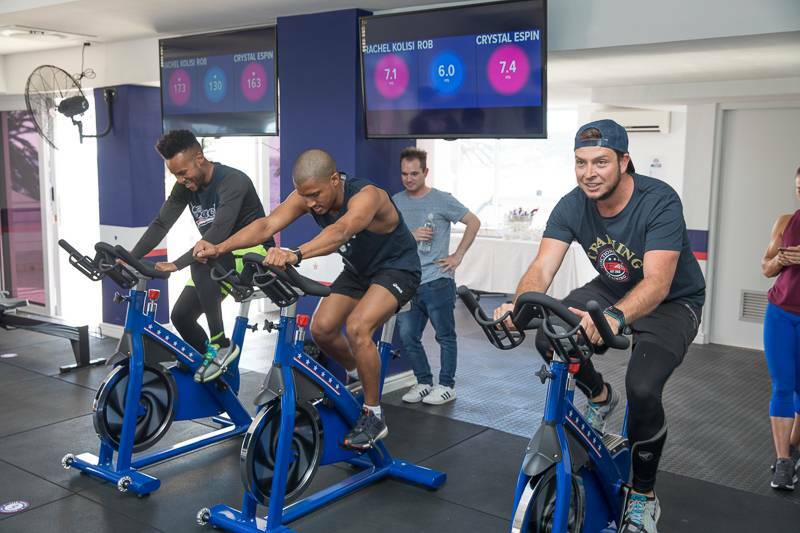 Finally a space has opened in the Promenade Building on Victoria Road in Camps Bay, allowing Marc Train and Trent Cutler to open their brand new F45 Training facility. 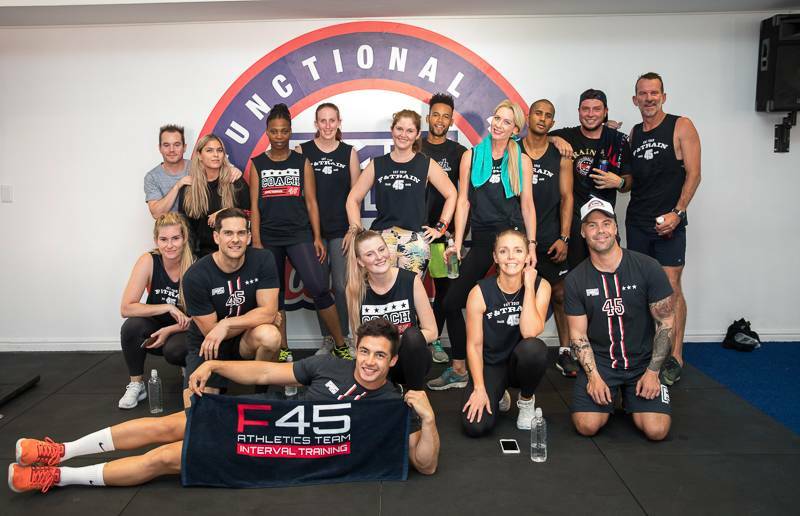 F45 Training Camps Bay is one of HUNDREDS of F45 Training facilities all over the world and what it is, is a group training gym with the same classes being given every day. 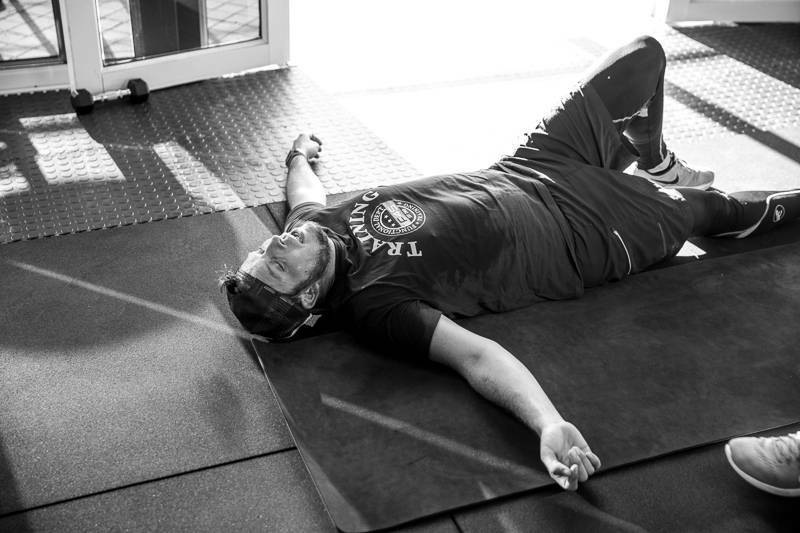 What this means is that if I am doing their Signature “Holywood” class on a Saturday morning, everyone else around the world is doing the very same class!! 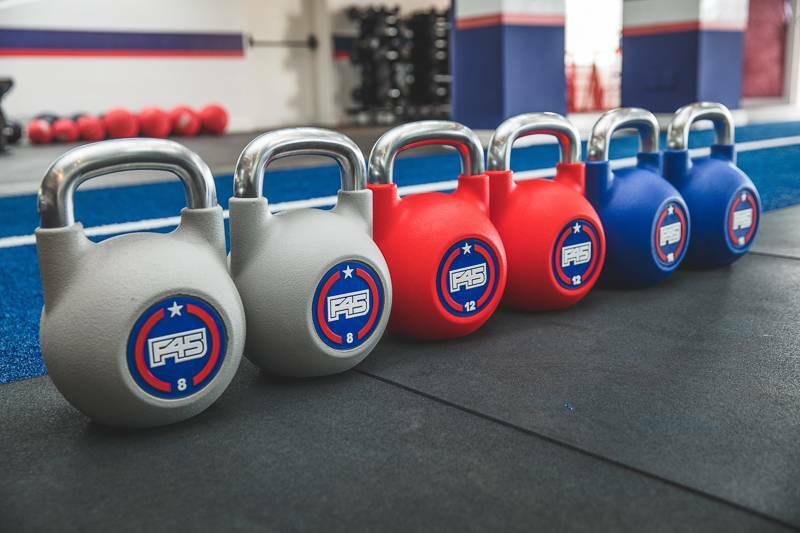 One super amazing thing about all F45 Training facilities around the world is that they offer everyone a FREE WEEK of training to come check out the gym. 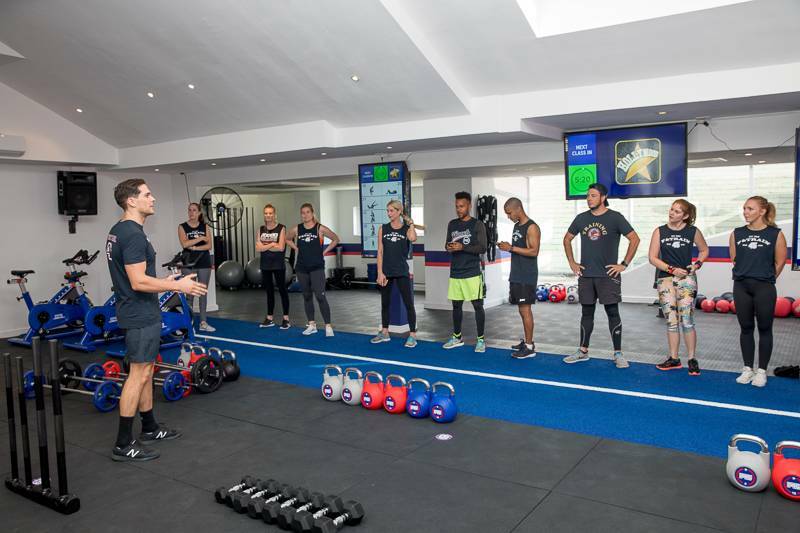 This allows you to not only experience the gym itself, but you’ll also be able to book classes using the F45 Mobile App which is FREE on both the App Store as well as the Google Play Store. 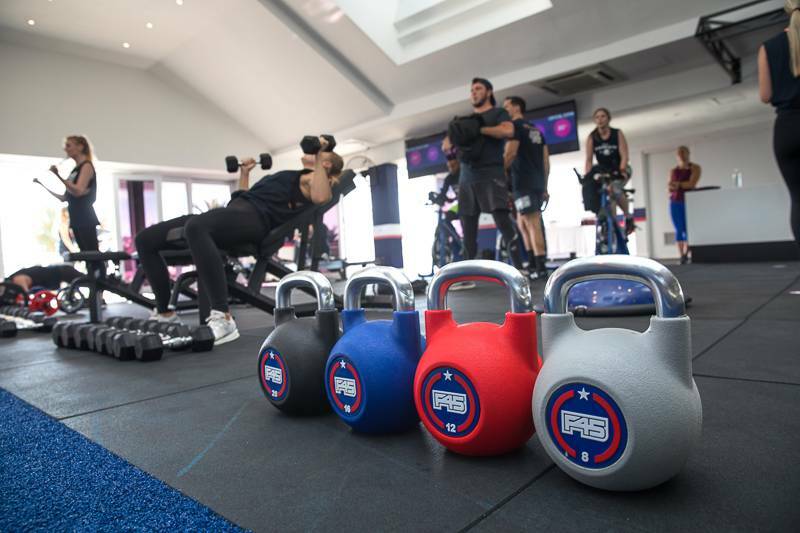 If you didn’t already need an excuse to go check out F45 Training Camps Bay to claim your FREE WEEK, then check out this video below to get an idea of how epic this gym actually is!! 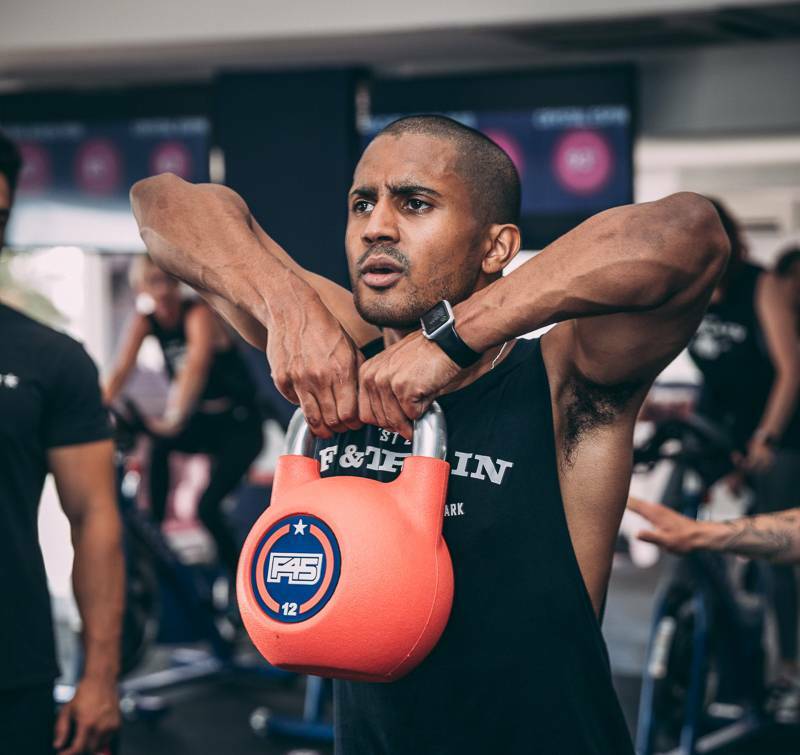 The F45 Challenge is probably the best challenge you’ll ever take part in, and not just because it is FREE to take part if you’re an F45 Training Member, but because you’ll be shredding body fat and chiselling your muscles to WIN a share of $3,000!! 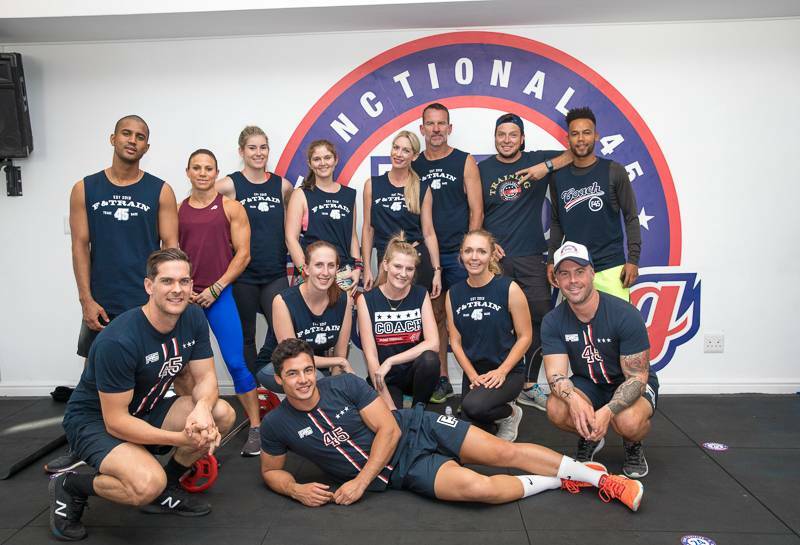 Yup, you read right, there is $3,000 up for grabs and F45 Training is sharing this pot with our Australian mates at the F45 Double Bay and F45 Padstow, although this is a global challenge with every F45 Training gym around the world taking part at the exact same time. 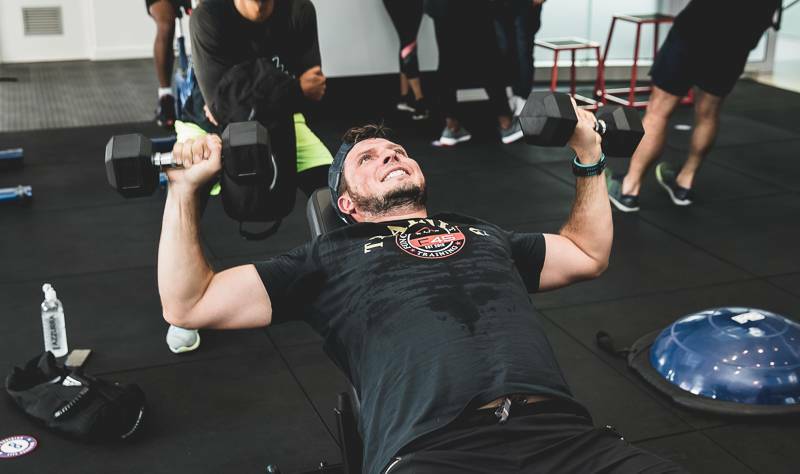 There will be 2 WINNERS between the 3 gyms, with $1,500 going to the person with the most Body Fat % lost in 8 Weeks and $1,500 going to the person with the most amount of weight lost in 8 Weeks. 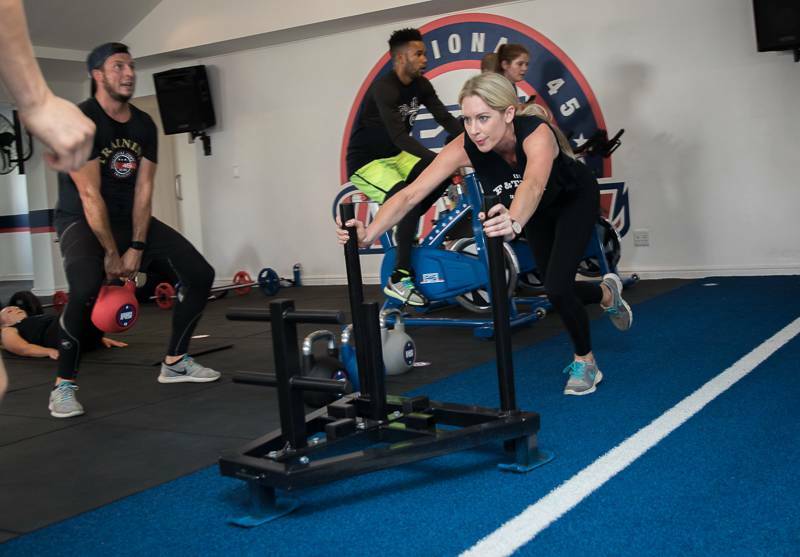 As mentioned above, The F45 Challenge takes place over the duration of 8 Weeks, giving you enough time to really put your body through it’s paces at the gym. 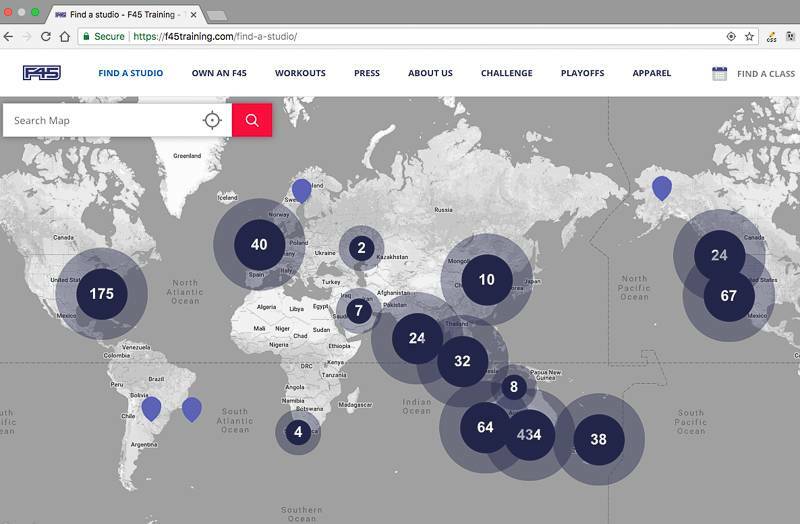 I have to say the most amazing thing about this challenge is that there is an App for it too, which shows you what work-out’s you’ll be doing on a given day, with a FULL MEAL PLAN attached to each day!! 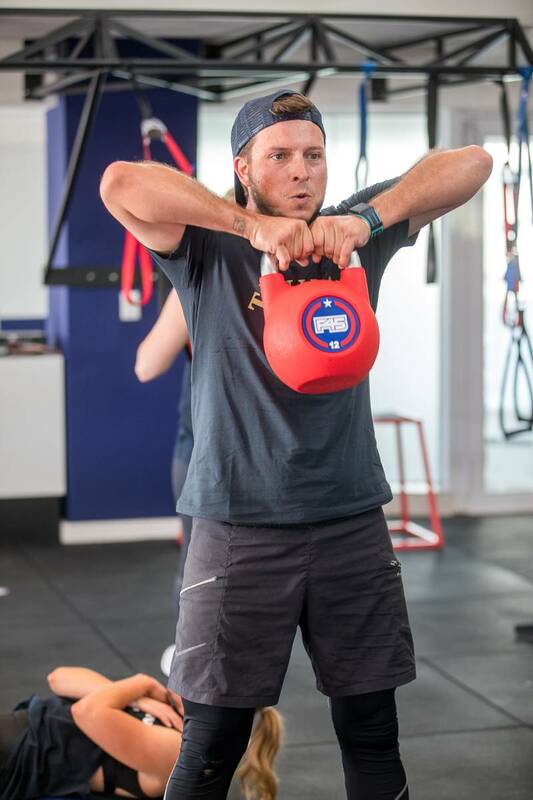 I know right, EPIC!!! 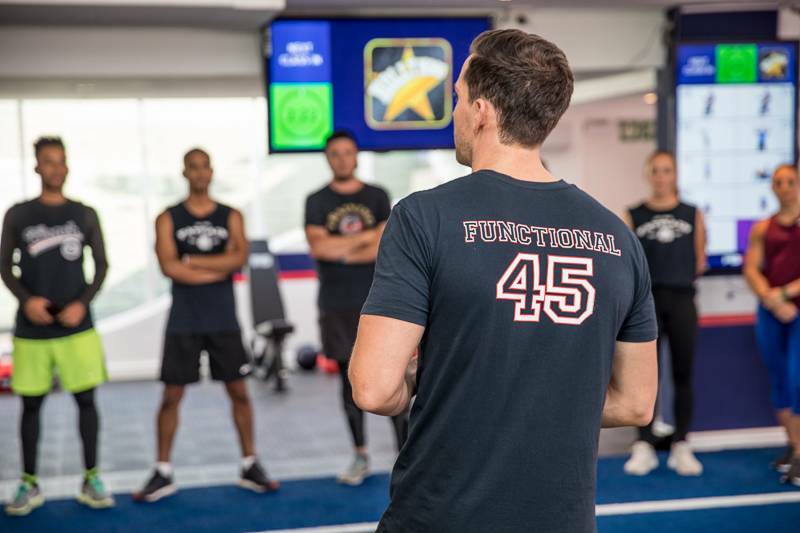 The next Global F45 Challenge will take place from 23 April – 17 June! 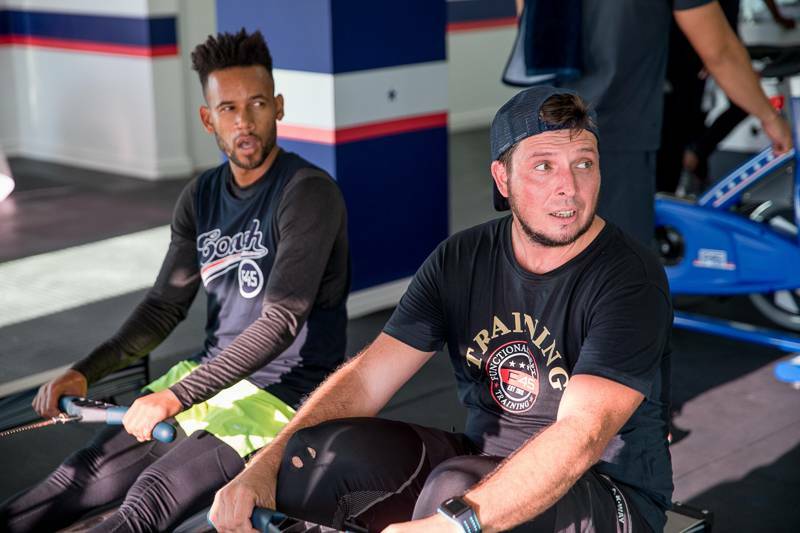 So if you are interested in Challenging ME, then get yourself signed up at F45 Training Camps Bay in the next week and a half so you can get your scans done before the challenge starts. 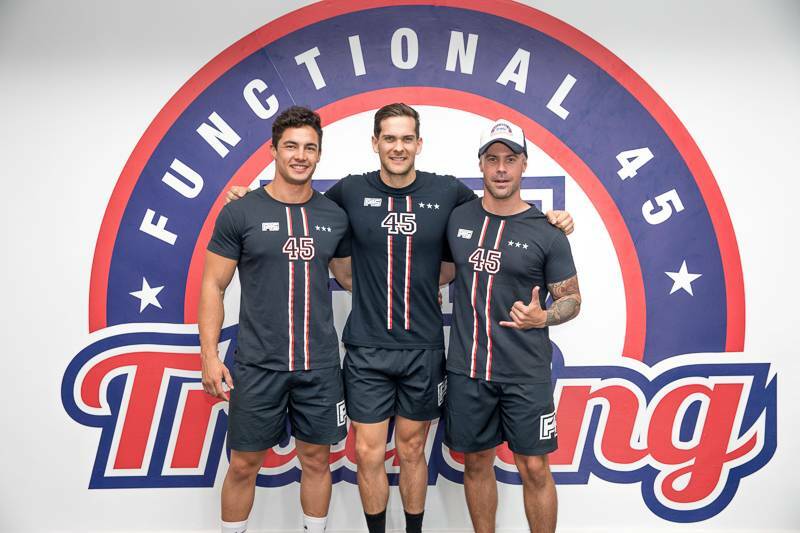 Check out the video below which has a lot more information in it about the F45 Challenge! 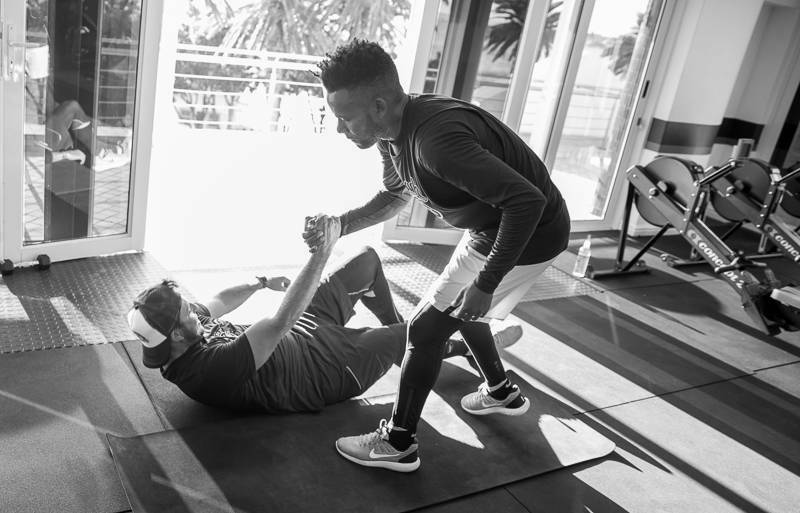 If you’re looking to find out why Camps Bay has become so popular in recent years, then read this blog post I recently wrote. 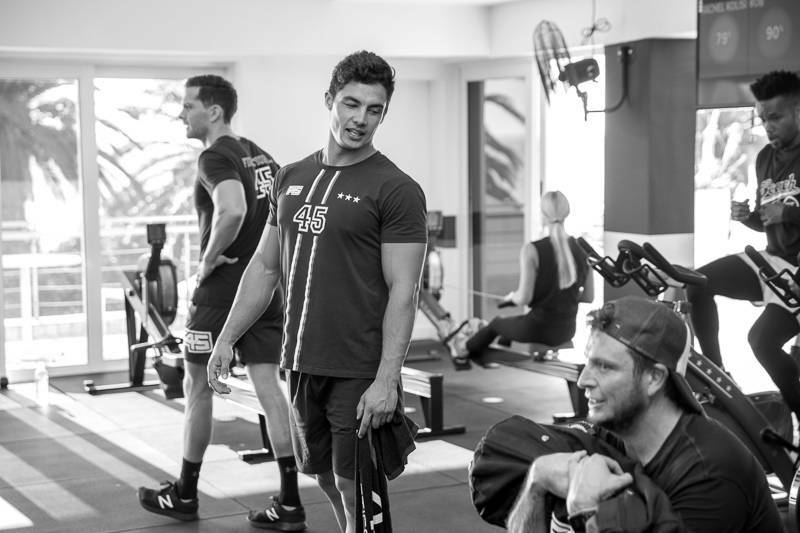 Here are a few of the photos captured of me at the F45 Training Camps Bay “Media Day” by Marc Berman Photography. 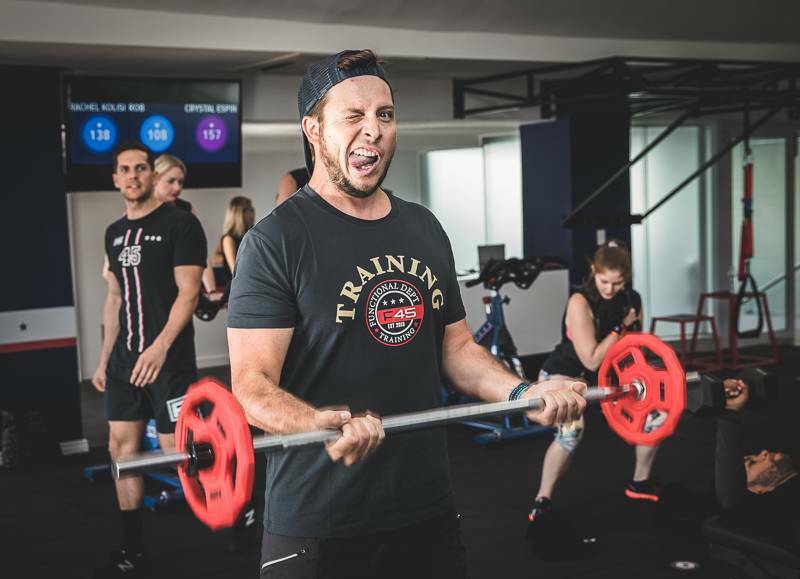 I am seriously pushing myself at this amazing gym, so excuse my “gym face” in some of the shots haha.